Experience the purest most natural way to fly. Have you ever looked up and seen a glider soaring like a bird on Nature's natural energy? You too could be up there. Whether as an introduction to the world of gliding or just a fantastic treat you will discover the magic of gliding flight; try your hand at the controls and if you are lucky maybe even soar with red kites! On arrival you will be given a full safety briefing. You will be introduced to your instructor, who will explain how the glider works, including the operation of the dual controls, and help you get strapped in. The length of your flight depends on the weather. Your instructor will ensure that you get best value out of your flight, expect to spend 15-20 minutes in the air, longer on a good day. Your instructor will demonstrate the use of the controls and you will be able to take control and fly the glider yourself. This is a great way to experience the joy of soaring over the local countryside. Includes 3 months' trial membership. 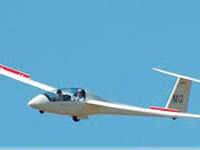 The lower age limit is 14 and there is no upper limit, as long as you can get in and out of the glider. Young people under 16 must be accompanied by a parent or guardian. The Club operates all year round. All instruction is done by professional staff and qualified member instructors. Clothing:Casual outdoor clothes - trousers with flat shoes or walking boots, and a jacket for breezy days. Temperatures in the air are usually similar to those on the ground. Sunglasses are advisable and in the summer you will need a sun hat.